of EmetSoft selected from various industries sectors. We was introduced, developed, implemented and maintain an ERP System which was called as “Sky Finance” which has seven modules namely, Finance Management, Asset Management, Inventory Management, Investment Management, Invoice Management, Vehicle Fleet Management, and Payroll & HR Management. The system is a centralized system on a Local area network which links the departments of CAASL which facilitates the functions of the required modules. The “EMET Treasury Operation Manager” Software which was introduced, developed, implemented and maintain by EmetSoft has been operated successfully at Treasury Operation Department of General Treasury Since 2005. This software was designed to encompass all the activities of Treasury Operations managed by the department. This software follows the exact procedures of government treasury operations as well as the government accounting procedure plus the government accounting code structure to operate it successfully. All the initiatives and programs implemented at the ICTA are constantly being monitored to evaluate their effectiveness and also all Financial Management and Reporting (FMS) aspects are recoded to ensure transparency of funds utilizations for the interest of the ICTA management and for the donor organizations. The EMET Finance Management & Reporting system implemented by EmetSoft well served since 2010. Best Quality Software Awards 2008 contest. As we seek now there is no firmware that supports Sinhala language in Mobile phones. The fact that the mobile user community in Sri Lanka still uses entry level GSM phones, makes it even difficult to develop a solution. How ever ThibusMe has over come these two issues by using “EMS & Nokia Smart Messaging” supported picture formats to send and receive Sinhala/Tamil SMS messages. I was delighted to witness the pilot trial of ThibusMe Trilingual Mobile Suite. The user friendliness and the ability to send messages to any phone that support picture messaging any network on top of the existing frame work will make this solution a useful proposition to break the language barrier in Sri Lanka. I am quite confident that his product once commercial launched will make a significant difference in the Sinhala/Tamil SMS traffic in Sri Lanka. 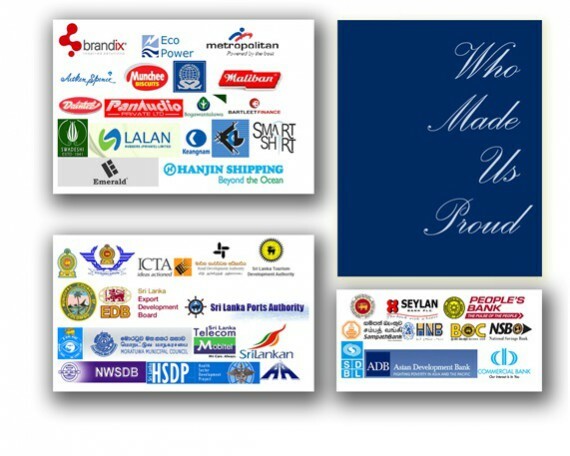 It’s unique feature of Sinhala to Tamil and Tamil to Sinhala language translation facility for mobile phones will play a major role in ethnic harmony of Sri Lanka when this products released to the public. I believe it will set a new trend in use of mobile phones in Sri Lanka which can easily be extended to the other Asian countries in the region as well.